Motorhead have revealed the cover art and final track listing for their new album, “Aftershock”, due next month. The band’s 21st studio album was recorded at RG Studios in North Hollywood with longtime producer Cameron Webb. “I really think the variation on the album shows that we’ve dug deep and produced some of our best work for a long time,” adds guitarist Phil Campbell. 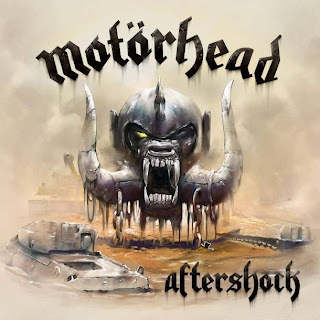 Motorhead will launch a fall tour in support of “Aftershock” starting November 7 in Zurich, Switzerland.